I've always been a fan of products that can lighten and make my skin glow. Hey, don't judge me okay! I'm a Filipina and we all know for a fact that majority of Filipinos long for that healthy, light and glowing skin. So when I got invited to an intimate gathering for Mestiza soap launch, I didn't consider to decline. 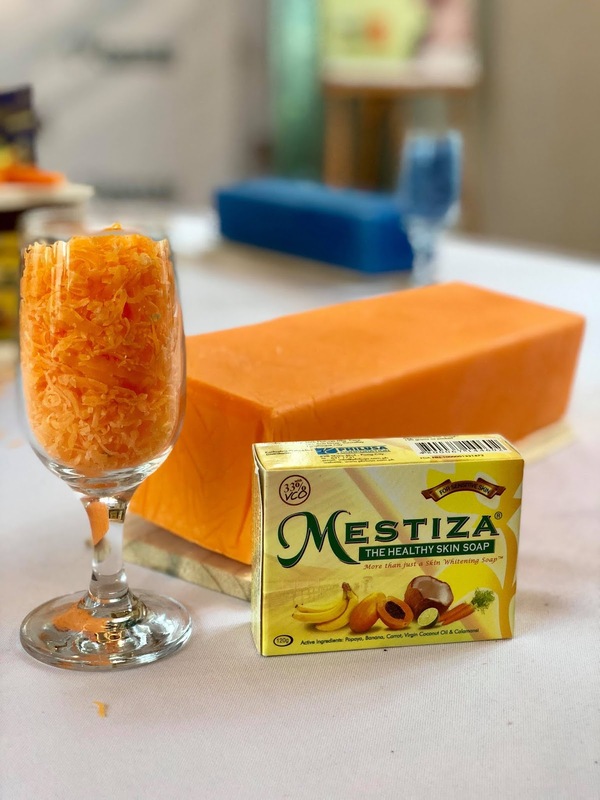 Meztisa Soap is proudly Philippine made product made from all-natural ingredients that promote healthy skin like the Papaya extract, Carrot Extract, Banana Extract, Virgin Coconut Oil and Calamansi Extract. 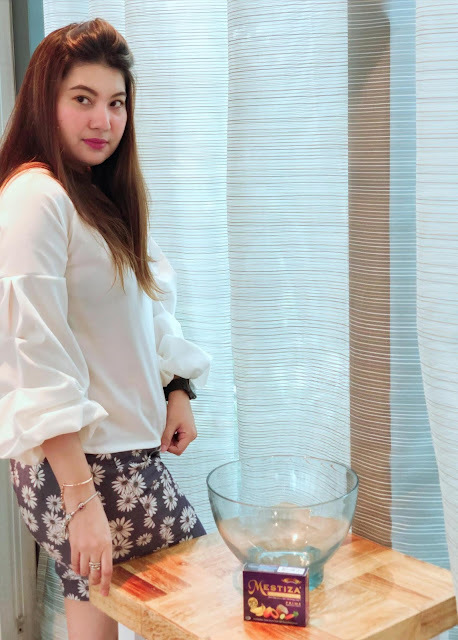 If you will read it from a research ~ when all the said natural ingredients are combined, the result is really effective plus it can provide most skincare benefits. Come to think of it, coming up a soap containing 5 natural ingredients must have gone through rigorous tests and study, kaya I really admire the lady behind this wonder soap. Take it from me, I've seen right before my very eyes the process kung paano nila ginawa yung soap. And nakakatuwa lang to share that it is the only soap in the market that contains 33% VCO. 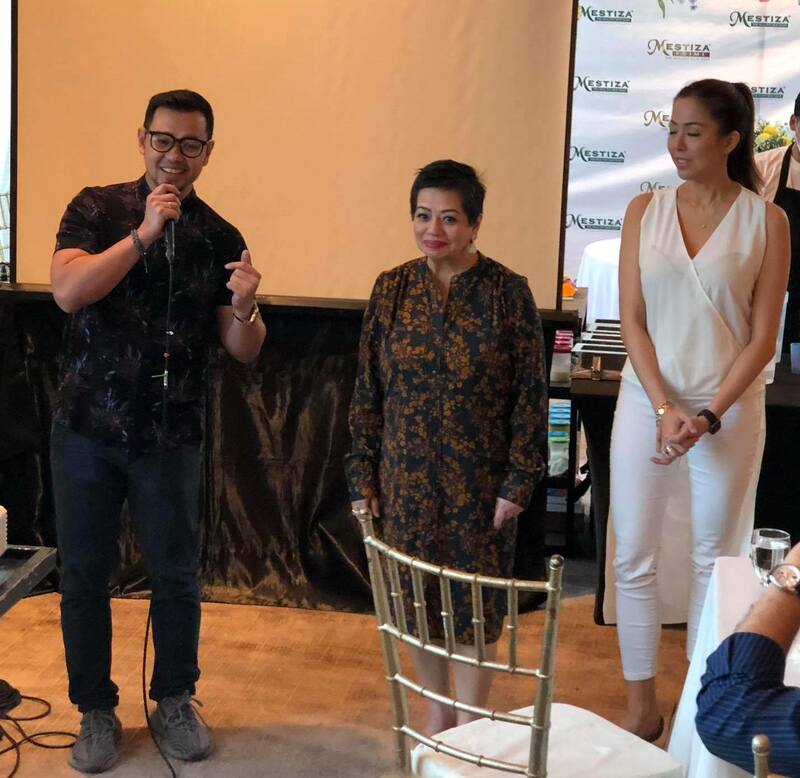 Mr. Bacani giving an introduction to the history of Mestiza and how his Mom, Ms. Elizabeth Bacani ( at the middle) started and work her way for the brand's success. Guys, we all know the many benefits of VCO, so I'll take it from there.... uhmmm, Isipin na lang natin that one of its major ingredients is VCO, so alam na. haha! But kidding aside, please continue reading on to learn why there are so many good reviews about this soap. Dra. 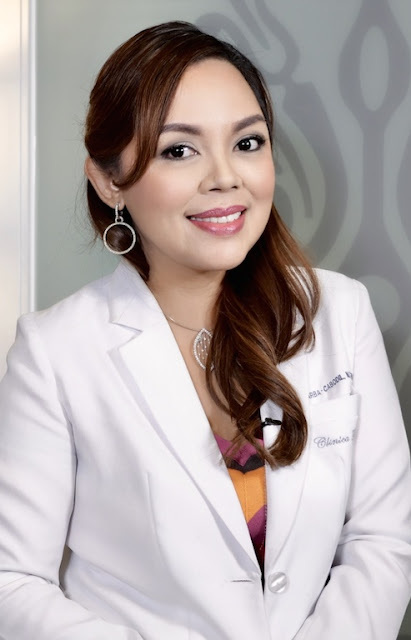 Sarah Barba, who runs the Clinica Figura skin clinic in Alabang graced the event where she shared a brief talk about Healthy Skin. Her expertise is in Anti-aging Medicine, Aesthetic Dermatology, & Integrative Medicine. Is your skin rough and dry? MESTIZA with papaya extract helps hydrate your skin. Papaya Extract is a good source of Vitamin A and Papain, a kind of protein, that helps remove dead skin cells, fades pimple scars and blemishes and reduce the signs of ageing. The banana extract contained in MESTIZA soap helps deep skin nourishment to bring back the skin’s youthful glow. Banana Extract is rich in antioxidants and also boasts of many nutrients like vitamins A, B, C and minerals like potassium, zinc, iron, and manganese. No need to mash up banana fruits just so you can achieve a more supple, softer complexion. Carrot Extract is very effective in helping to alleviate different skin problems, especially acne when applied topically as a facial wash or bath soap. It greatly helps in improving the quality of one’s skin. Because carrots are rich in nutrients such as potassium, essential oils, and antioxidants, vitamins A and C, carotenoids, potassium, including antifungal, and antibacterial substances. Calamansi is rich in antioxidants and vitamin C that help in the production of collagen, to make skin supple yet firm. It effectively helps in whitening and toning the skin. The bleaching agents contained in calamansi helps to treat dark spots, skin discoloration, scars and clears up pimples, acne, blackheads. It hydrates as it rejuvenates the skin from within with consistent use to bring out a glow on the face. 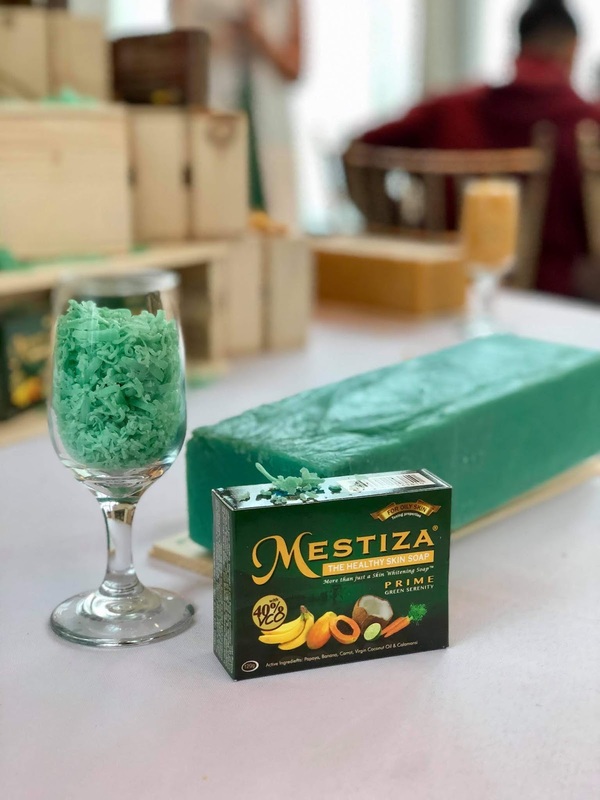 Consistent use of MESTIZA soap with Calamansi extract helps to slow down the rate of free-radical damage that hampers collagen production that leads to skin dryness, fine lines, and premature wrinkles. MESTIZA with Calamansi helps the skin to recover and may help reverse DNA damage and protect it from future damage. Calamansi helps the skin to recover and may help reverse DNA damage and protect it from future damage. Coconut Oil is known for its moisturizing effect because coconut oil has a high moisture retaining capacity that acts as an excellent moisturizer for the skin. Effective as an emollient too, because of the immediate soothing and softening effect after applying. Coconut oil also nourishes the skin, making it supple, while effectively removing dead skin cells to reveal new, young skin that makes one look radiant. 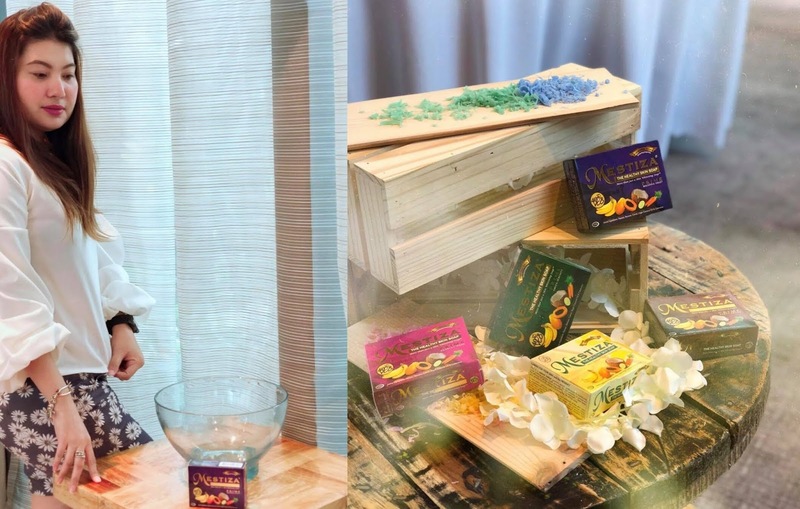 Mestiza also launched Mestiza Prime Soap which has four variants for different skin types. Mestiza Prime Bountiful Violet ~ for Normal to Dry Skin which contains Lavender Fragrance Oil. Mestiza Prime Green Serenity ~ for Oily Skin which contains Green Apple Fragrance Oil. Mestiza Prime Earth Brown ~ for Dry Skin which contains Patchouli Fragrance Oil. Mestiza Prime Scarlet Rose~ for Normal to Oily Skin Herbal Essence Fragrance Oil. 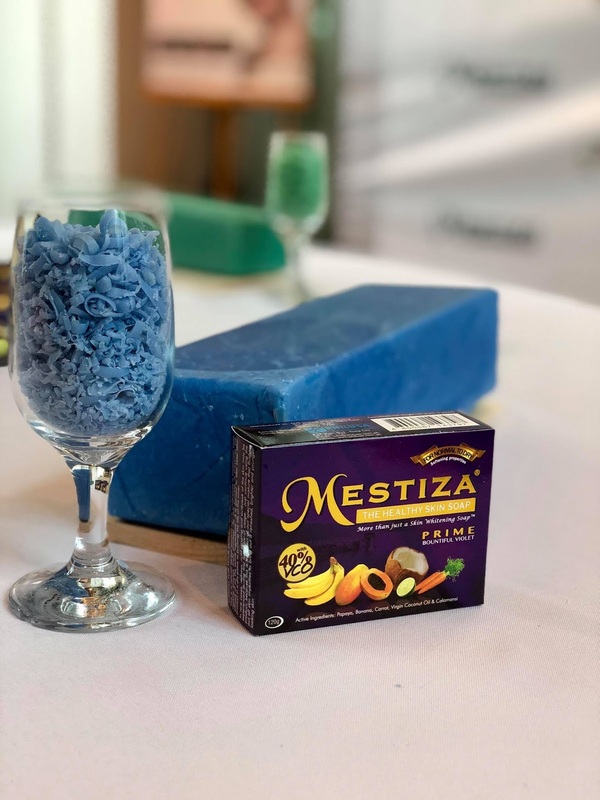 All Mestiza Prime Soaps contains 40% VCO. 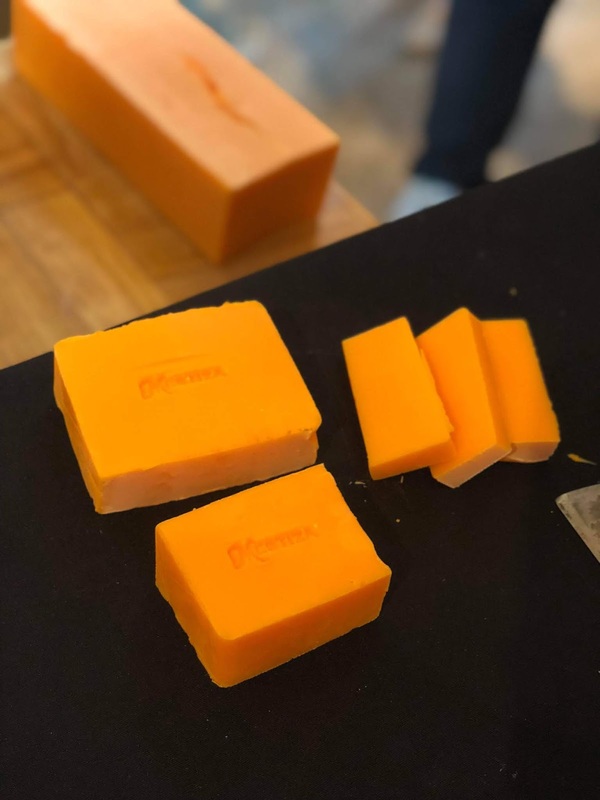 MESTIZA soaps also yields anti-fungal, anti-bacterial, antiseptic and anti-microbial properties that are quickly absorbed by the skin’s inner layers. The active effect help clean, fade away and remove small scars caused by acne or pimples, itchiness, scaling caused by dermatitis and psoriasis, eczema, and other minor skin infections or allergies. The most evident result? Wash thoroughly with every use and you can see healing and feel nourishment for your skin. If you haven't yet, you might want to try it now. 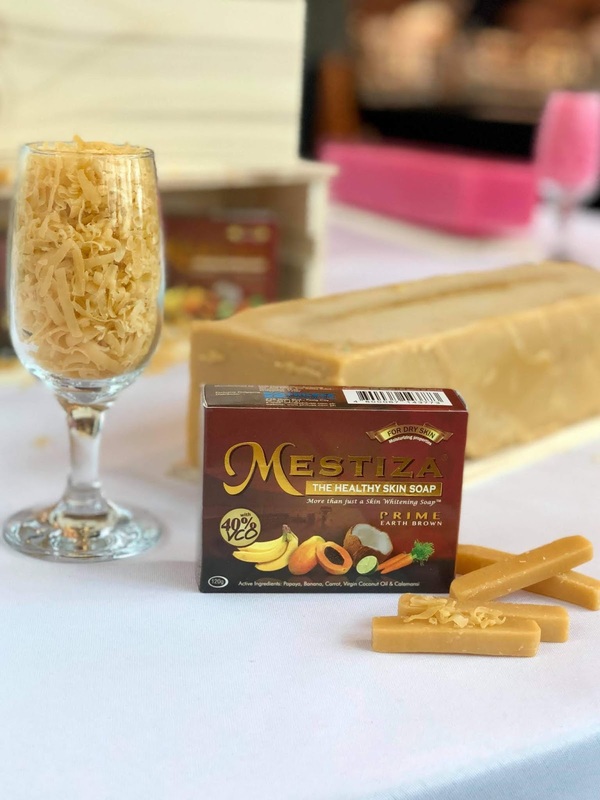 You might find your long lost secret to healthy, youthful, glowing, radiant, soft, smooth, supple, unblemished, well-toned and balanced, clear and clean skin with Mestiza Soaps. 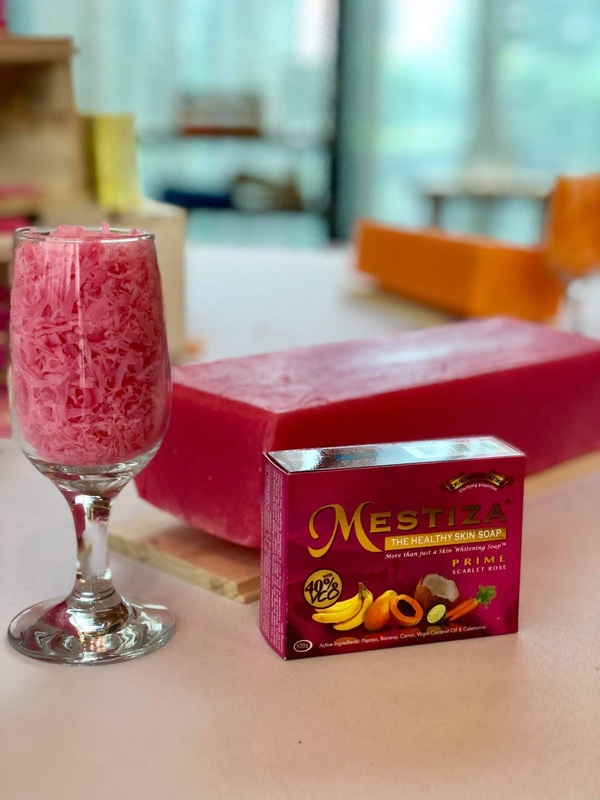 You can find Mestiza Soap (58php) and Mestiza Prime Soap (98php) at leading drugstores and supermarkets like SM, Robinsons’, Mercury Drug, Watsons, and many more. You may click here for more photos from the event. 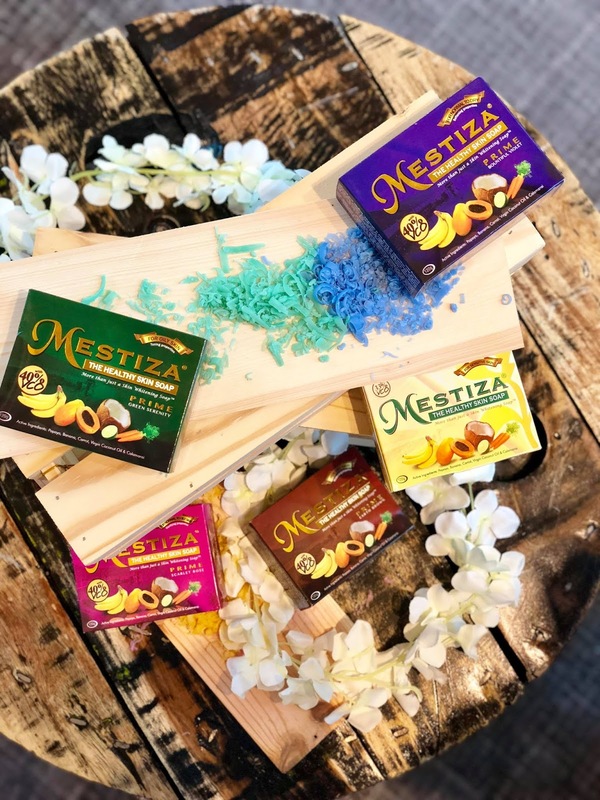 For more information about Mestiza Soap, Like and Follow them on Facebook: https://www.facebook.com/mestizaphilippines/ and follow them on Instagram: @mestizasoap. JOLLIBEE'S AMAZING ALOHA YUMBURGER IS BACK! DOES YOUR YAYA KNOW BASIC FIRST AID? 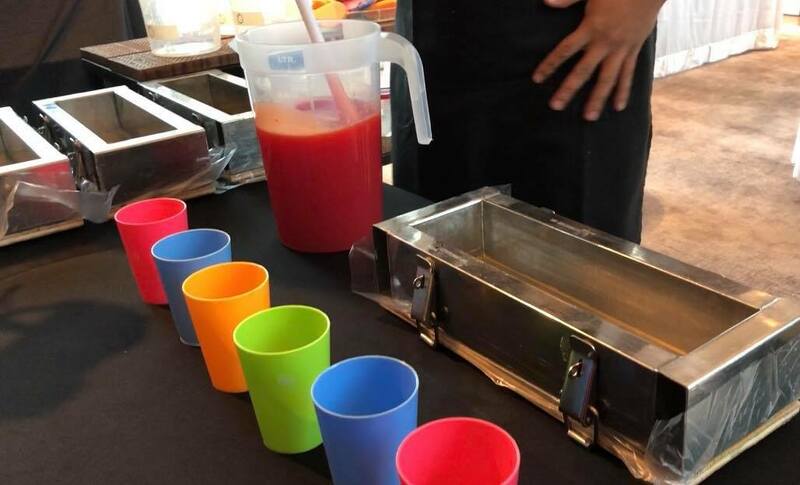 READ: IS HIRING A MARKETING AGENCY WORTH IT?